The next installment of LiveRez’s vacation rental webinar series is slated for Wednesday, Aug. 20 at 2 p.m. ET. 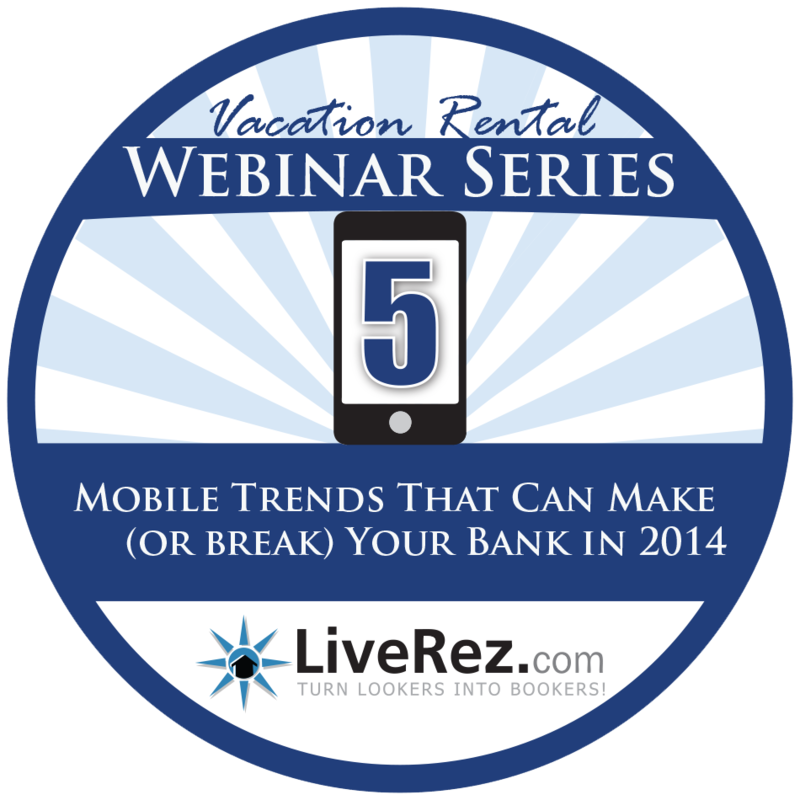 The webinar is titled: "5 Mobile Trends That Can Make (or break) Your Bank in 2014." Here's a brief description to whet your appetit. Traffic from smart phones and other mobile devices has absolutely exploded in the past few years. Do you have a game plan in place to profit from this mobile revolution? In this 45-minuite webinar, we’ll discuss 5 huge trends we’re seeing, and explain how you can position yourself for success as these trends begin to reach critical mass.